Pastor Bobby’s powerful Easter message Be Reborn will remind you of the inspiring truth of Scripture that Christ — alive today and at work in you — loves you, is rooting for you, and is moving in your favor! Plus, to further encourage you, you will receive the brand-new companion Be Reborn booklet — along with the Joyful Joyful! bookmark! Give you the hope and power of Easter every day of your life. Align your mind with the faithful promises of God. Give you a renewed sense of joy and security in how much He truly loves you! 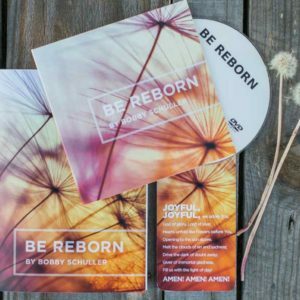 You will receive the Be Reborn Resource Set today with our sincere thanks for your generous ministry gift. And you’ll know that your support is uplifting people all around the world with God’s Good News through our Hour of Power TV broadcast! Thank you!